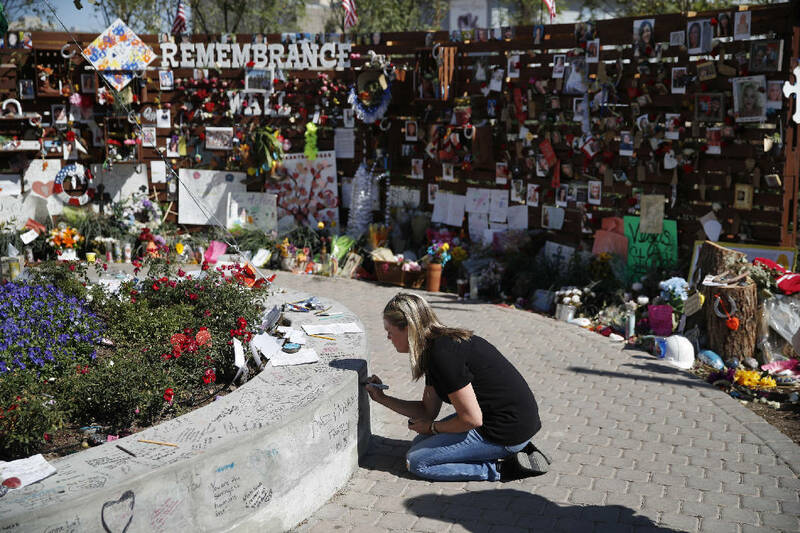 CHICAGO (AP) — Legal action following the mass shooting at a Las Vegas concert is picking up with lawsuits filed Wednesday on behalf of 14 concertgoers, including some who were shot or injured trying to escape and one woman who is so traumatized that she has since mistaken the sound of rain for gunshots. A Chicago law firm helped to prepare the filings, which include several plaintiffs from the Chicago area. Victims named in the suits also include a California man, Anthony Crisci, who was rushed to a hospital with a gunshot wound in a truck crowded with other victims. Paddock was able to use VIP status conferred on him as a high-stakes gambler to stockpile more than 20 rifles in his hotel suite, including by using exclusive access to a service elevator over days, the filings say. They argue what should have been routine checks of Paddock's bags and his room would have revealed his growing arsenal. MGM Resorts International, the parent company of Mandalay Bay, called the shooting "a meticulously planned, evil ... act" in a statement Wednesday and added that it would respond to any allegations only through "the appropriate legal channels." Live Nation, a concert organizer named in the filings, said in a statement it cannot comment on pending litigation, but that the company remains "heartbroken for the victims."